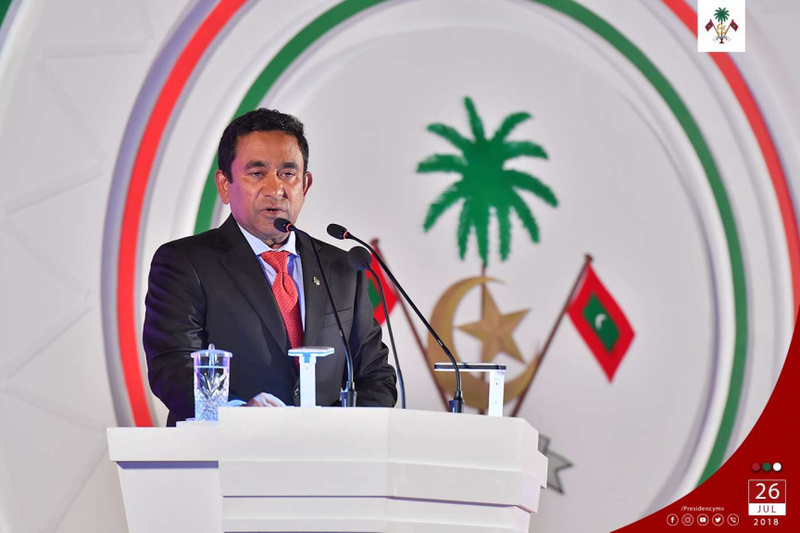 President Abdulla Yameen Abdul Gayoom has said that when he was elected in 2013, the country was destroyed but with the work of four years, the country today has achieved a lot of success. Speaking at the Independence Day function this evening at the Republic Square, President Yameen said that he got elected to do the work that needed to be done in the country for a long time and when that work began, the country was divided. The President said that the institutes in charge of protecting national interest were fractured and the country was on the brink of civil war. And the country was in an economic pit unable to balance monthly income. President Yameen said that his responsibility after becoming the President was to save this small country and take the people to a peaceful shore and strengthen the weakened Islamic faith in the country. And re-establish it's sovereignty and bring the country's economy sustainable. And today, all of those challenges have been overcome.